“According to Morgan Stanley’s estimate, the potential market cap of Waymo is $175 billion if they launch an initial public offering,” said Gary A. Silberg, the Americas head of automotive innovation at the audit firm KPMG. 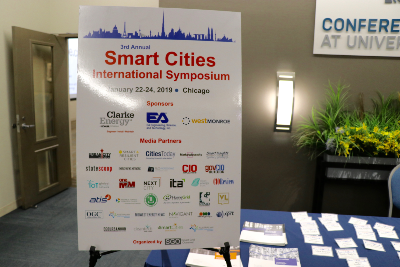 Silberg spoke during the 3rd Annual Smart Cities International Symposium & Exhibition in Chicago. “The number of miles we travel is actually going to soar. This changes the entire economy of the transportation sector,” he said. Autonomous and electric vehicles now represent a magnitude of growth never seen before and the city of Chicago is positioning itself as a prime electric vehicle marketplace. In addition to an expedited permit process for station installations and over 50 fast chargers, Chicago also has a proficient electric vehicle installation network. “Back when electric vehicles came into the market, the State of Illinois took an aggressive role to ensure that people who are installing electric vehicle charging stations are properly trained and certified,” said Samantha Bingham, clean transportation program director of Chicago Department of Transportation. While Chicago adapts to technological changes that are revolutionizing the transportation system, barriers such as home infrastructure still hinder the adoption of electric vehicles. While this limitation holds back the city’s market of private electric vehicles, Chicago could move beyond it by focusing on providing networked charging stations for fleet vehicles. This idea of connectivity spurs “a whole urban electricity generation picture” that requires an integrated mobility ecosystem, said Dr. Peter Harrop, chairman of IDTechEx, a British market research company. Essentially, in order to optimize smart mobility that leverages electrification and automation, Chicago needs to operate things from a network perspective and eliminate silos, whether they are within an agency, between agencies, within companies or between industries. She referred to data silos created by different transportation agencies, for instance. In Chicago, however, the divided transit system governance slows progress toward creating a seamlessly integrated mobility ecosystem. Shah maps out a three-dimensional approach toward synchronization. In addition to moving from the slow and bureaucratic process to a nimble and adaptive environment, Chicago needs to implement scalable solutions and build a digital infrastructure network. Silberg said there is no federal government solution for how to make Chicago a smart city with eco-mobility and connectivity,. “If we figure out this in Chicago, we will lead the world. If we don’t, the high tech players are going to come to our city” to lead markets they will dominate, Silberg said.